With The King Of Limbs—recorded in fits and starts over the course of a year, making it a virtual toss-off by Radiohead’s exacting standards—the band has made its most subliminal record. Dealing almost exclusively in sensation and texture, The King Of Limbs invites comparisons to the challenging abstractions and chilly atmospherics of Radiohead’s game-changing Kid A/Amnesiac period. The difference is that those records conveyed a sort of emotional paralysis; this one is about fumbling into motion. After shoring up Radiohead’s guitar-rock credentials on 2003’s Hail To The Thief and 2007’s In Rainbows, six-string physicists Jonny Greenwood and Ed O’Brien once again step aside on The King Of Limbs. 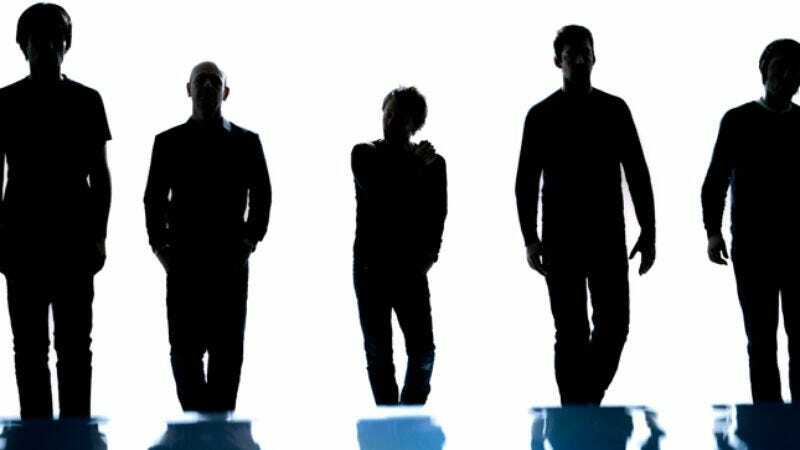 Radiohead focuses instead on its most underrated element, its rhythm section, particularly Phil Selway’s remarkable drumming. On the first two tracks, “Bloom” and “Morning Mr. Magpie,” Selway and bassist Colin Greenwood power the music to discomfiting velocity, creating a violently percussive bed for Thom Yorke’s languid vocals. The juxtaposition of speed and slow-motion replicates the feeling of being in a car crash, a recurring disaster in Radiohead songs. Only this time, the fear of losing control gives way to acceptance, or at least recognition that a free-fall to oblivion can be pretty damn exhilarating. “I will slip into the groove and cut me up and cut me up,” Yorke sings on “Lotus Flower,” Limbs’ catchiest song, a sensually slinky come-on that’s one remix away from being a dance-floor favorite (if that hasn’t happened already).